The first benchmarks I've run on the new Surface Pro 2 yield encouraging results for anyone looking to push the tablet beyond 2D graphics. 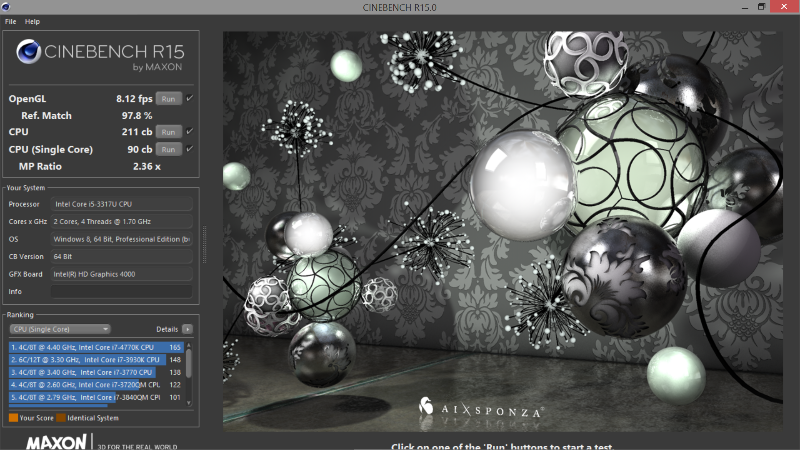 After running Maxon's Cinebench R15 tests several times, the OpenGL results for the Surface Pro 2 are averaging right around 20 fps compared to a pitiful 8 fps for the original. CPU gains are more modest: about 9% better for the Surface Pro 2.